The interview with Kwame Onwachi was absolutely the best one Iâve listened to. Thank for sharing him with the world. I plan to send his book to my grandson. Tinker, tailor, candlestick maker...cook. This show satisfies all. If you can't find an episode that excites you, go back to eating your Big Mac! I was a longtime listener of Splendid Table. I looked forward to it every week,more than any other show. I have no problem with Francis as a person; He seems very smart, caring, and no doubt he is very accomplished. My problem is with the complete format change of the show. When Lynne hosted, every segment was different, fun, and interesting. There was lots of variety. She had a great rapport with guests. Now the show is based around a single theme. As many others have said, it is now less about the joy of cooking and more about people. More importantly, it just doesnât feel fun anymore. I have no problem with the social message the new show is trying to convey, but it feels like a completely different show. The frequent reruns and repurposed segments donât help either. So I am really missing the old Splendid Table, and I have sadly unsubscribed. I really love this show. I have learned so much about the world and life in other places through the lens of food. I have become a better cook and eater since I started listening. I wish there were more Key 3 segments and less reruns of episodes. Iâve enjoyed several episodes. Then I heard a boo-hop, liberal blah blah about cry me a river Sudanese illegals. PBS always has to inject, along the way, what is only relevant to ivory tower liberals. The show would be better being non-political. Wide-ranging, thoughtful. Love the host's gentle personality. As a beginning home cook, I have learned so much from this podcast. It's so sad that the Splendid Table has gone so far downhill. After Lynne retired and passed the baton to Francis Lam the show is a mere shadownof itself. Gone are the passionate calls with listeners, exuberant talks about foos and off the cuff recipes. Gone is the love. Francis is more interested in people than the food they make. His knowledge is nothing compared to Lynne's. Not to mention it seems like 3 out of 4 episodes are now complete repeats or combinations of past interviews. I can't bear to give TST less than 3 stars because of the decades of beauty Lynne left us, but Francis is so milquetoast I hardly ever listen anymore. I appreciate the cultural history aspect of this podcast. I love to cook, and I love to eat, and I really love hearing other peopleâs stories. Listening to The Splendid Table grows my culinary know-how along with my human empathy. Thanks for all your hard work, Sally, Francis, and everyone! I love this podcast. I learn SO much about food and cooking. And beyond that, it exposes me to different perspectives âit makes me think. Francis is a wonderful hostâfunny, knowledgeable, and curious. The show was great with Lynn. Iâm sad with the way the show has turned into a political agenda. The last straw was Cecile Richards âbaking piesâ which was not at all about cooking. No more of this podcast for me. Splendid table used to be my favorite podcast (Lynn was the host)... when I heard Frances was going to take it on- I was sad but decided to give him a try. There have been good episodes, Iâm just a bit surprised Splendid table would put someone on as host, who isnât as culturally rounded as Lynn. I was actually embarrassed for the show in the more recent episode when Frances and guest joke about âcarrying a mantleâ... they had no clue what it even meant. (Psst... itâs not a fireplace mantle! ð¤¦ð½ââï¸)Bottom line- The guests are generally interesting, I hope the hosting improves over time. I have been hearing a lot of ârepurposedâ segments in the new format. Itâs frustrating to get into a podcast on a commute only to realize that parts are reruns. This podcast is something every foodie should listen to. I have learned so much about food history, new cookbooks and books about food. Also news about food trends. What more could a foodie want to know. Very interesting and entertaining. Topics are diverse but host Lamb approaches all with curiosity, intelligence and generosity. The Edna Lewis special is a perfect example of this podcastâs blend of cuisine and culture. I have loved this podcast for many years and am so grateful to have it for my commute to work. Thanks Francis, for the fabulous job youâre doing, and thanks to all the folks who make this podcast possible. Mwah!!! I'm so impressed at the job Francis Lam is doing since taking over the show! I have been a loyal Splendid Table listener for the past ten years. I, like many others, was sad to learn that Lynne would be retiring, but have continued to listen each week, hoping that Francis would find his stride. That may have happened, but the show is almost unrecognizable in relationship to what it had been in the past. Iâve always listened to the show for seasonally relevant tips and recipes, to learn new techniques, and to hear from others as to what theyâre facing in their home kitchens. Now, when I tune in, it seems as though every week the majority of the show is food politics, and the like. (As background, Iâm a mid-thirties, liberal Democrat, and even Iâm tired of the arc of the show. The last show I listened to was about vegetarian-ism and masculinity issues. Seriously. )Itâs not that I think Francisâ new turn to the show is wrong. It is that it has fundamentally changed the nature of the show and what it has always been. Iâm very disappointed.NPR has lost my donation. Hereâs to hoping Lynne might return at minimum, for Turkey Confidential in November. Francis hasn't improved the show much, and his voice doesn't even compare to Lynn's beautiful one.ð Since he started hosting, there have been so many repeat shows. I'm pretty sure there's one at least once every other week, and the worst part is they're presented as new shows in your feed. Also, the show is much less about food now and much more about politics, racism, culture, etc. I'm just here for the food and recipes, and I don't care about that stuff. There are still some good elements to the show- the listener questions are always my favorite part. But most of the time I'm just like "really, Francis..?" While I agree it is important to tell the stories behind those who make food and advocate for justice every part of our lives, this podcast has ceased to satisfy me. Most of Public Radio/podcast media I consume informs me of social ills and how to affect change. I just want a podcast that takes me on a gastro adventure and guides me to imagine new flavors. Can anyone recommend some alternatives? Since Lynn left Francis has watered down the experience significantly. Francis is amazing. Really thoughtful topics on more than just cooking. His rapport with and respect for the people heâs interviewing is clear. And when he laughs, I laugh. This show is just getting stronger, more accessible, and more relevant every week. Kudos to Francis and the team! I have listened to âThe Splendid Tableâ for several years. I think I have listened to almost every episode. I enjoy the wide variety of interviewees. I liked the Lynn Rosetto Casper, but also really enjoy the younger version with Frances Lamb. I love the show and the new direction. So why are you using the same lame music? Itâs distracting from his otherwise very smooth and relaxing delivery. keep the great interviews, but change the music please! When Francis took over for Lynne, I was excited because I thought there would be a new show every week. I assumed that the reason that the show recycled so many segments so frequently, and recycled them multiple times, was because Lynne was getting ready to retire and couldnât devote herself to creating new shows all the time. Needless to say, I was disappointed to hear shows repeated almost as soon as Francis took over. Yes, they were the shows he had done last year, when he and Lynne were alternating weeks, but they were still repeats. Iâve been listening religiously since at least 2006; I feel that I know most of the episodes by heart. So I can tell when shows are being recycled. It wasnât only the Splendid Table, either: many other public radio shows were doing the same thing, such as Speaking of Faith, which has now been renamed On Being. Apparently the economic situation is still dire for public radio. Keep contributing folks! I used to listen to the Splendid Table a few years ago but got a bit burned out. Just downloaded an episode today for my run and I really enjoyed it! Good variety, enough depth on each segment, fun content. I'll be back! 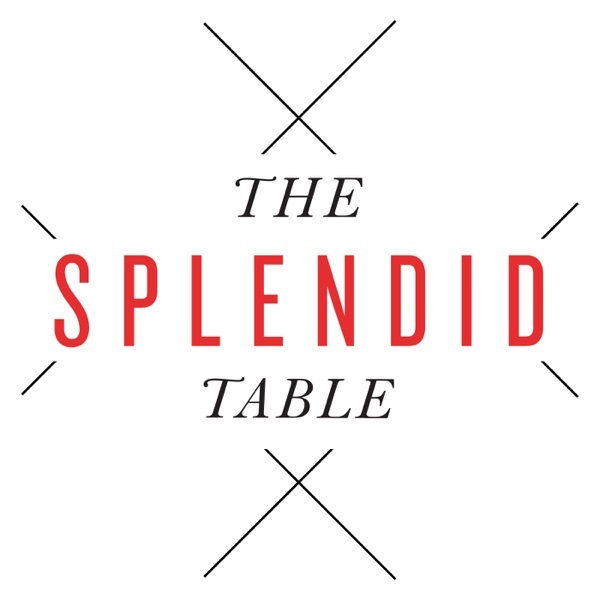 The Splendid Table is the first podcast I ever listened to. It became a Sunday morning treat to listen to after church every week. Lynne Rosetto Casper was an awesome hostess and commentator I came to consider a friend. I was hesitant that anyone could fill her shoes. Frances Lamb is doing an admirable job in my opinion. It is still my favorite podcast! The Splendid Table is excellent! Do you like to cook? Are you a restless cook, always on the hunt for fresh ideas? Looking to pull off something amazing for your next dinner party? If any of these descriptions fits you, I could not recommend any other podcast more highly. Inventive, informative, filled with interesting segments, powered by people who really have their fingers on the pulse of food today. Not âstunt-yâ or âmolecularâ but practical and delicious. Sign up for their âWeeknight Kitchenâ emails, too. Really fun, and useful no matter where you live. Lynne Rossetto Kasper taught me how to cook over years of the show, and she felt like family. The new host, Francis Lam, has taken this show in a wonderful direction, bringing in diverse voices and multiple views on important subjects. I am deeply grateful for both the show's past and its future. I have always loved this show! It informs and inspires me in my kitchen. It has made me a much better foodie. Powerful teaching bites. Appreciate the energy as it forages the relevant. Iâve enjoyed The Splendid Table for years even as it morphs. Thank you Lynne! And now thank you Francis! Great topics, covered in a very approachable way. A nice diversion from all the anxiety in our society these days. I like learning from the various guests. The Splended Table often goes back in my playlist to listen to again. Pieces of advice that were not relevant months ago suddenly connect with a problem or idea I am working on. It is an excellent replacement for my America's Test Kitchen Radio podcast. Thank you for all the variety of useful and entertaining information. I donât remember when I discovered Splendid Table but loved it from the first. My favorite was when Lynne would create receipes from callers leftovers plus her allowed addition of salt, pepper, garlic and olive oil. I may not be remembering 100% correctly but she always amazed me with her creativity! Best to Francis Lam as he assumes the reigns. This is really the best podcast I have ever listened to! Love this podcast, especially the variety of stories, recipes, and ways to explore food. Endearing & Excellent all around! Well researched and produced. Informative and fun. If you like ATK, Milk Street, Radiolab or Sporkfull, don't miss out on this! I love that this episode featured some food from areas of the world often forgotten. Melissa Clark is way to excited and i literally couldn't finish the episode. Which is sad because this is one of my favorite podcast.i think it was mostly the pitch of her voice that became intolerable and reaping the same phrases. A change of hosts, but still the same glorious magic! Lynne has been a fabulous voice to listen to over the years, providing such a joyful and beautiful take on the art of cooking. While I am sad to see her stepping away, I am so thrilled that The Splendid Table will be left in the immensely capable hands of Francis Lam. He has a different perspective which is just as valuable, and it is just inspiring to see him pick up the lofty role left by Lynne with such graciousness and sensitivity. I can't wait to listen for many more years to come!